Consultant in Sport and Exercise Medicine within the NHS, at the Institute of Sport, Exercise and Health, University College London, where he treats the general public with musculoskeletal and sports injuries He is also working to promote exercise as a preventative intervention and treatment in many medical conditions. He is one of the lead Sports Physician for the English Institute of Sport, based at The Institute of Sport, Exercise and Health at University College London Hospital where he treats elite athletes from a wide range of sports, he is currently the doctor to the British Olympic Boxing and British Snow sports. He has travelled extensively with national squads, accompanying teams to Olympic and Commonwealth Games, World and European Championships. 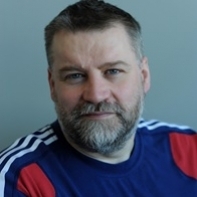 He was the Chief Medical Officer for the England Commonwealth Games team in New Delhi 2010 and Glasgow 2014. He was deputy CMO for the Rio Olympics and will be CMO at the Winter Olympics in South Korea. Dr Loosemore achieved a PhD in the pathophysiology of boxing injuries. He is active in sport and exercise medicine research and has published work on various aspects of SEM. He is interested in education of future SEM doctors and is chair of the speciality advisory committee. In 2011 he was awarded an honorary Doctor of Science for services to sports and exercise medicine. In 2014 he was awarded the Robert Atkins award for consistently valuable medical service to sport. In 2017 he was made an honorary professor in Sport and Exercise Medicine. Dr Loosemore recognises that the lack of physical activity is the public health issue at the beginning of the 21st century. He is the co-founder of Active Movement a programme that increases physical activity in people of all ages. In 2017 Dr Loosemore was awarded an MBE for his services to Sports Medicine.